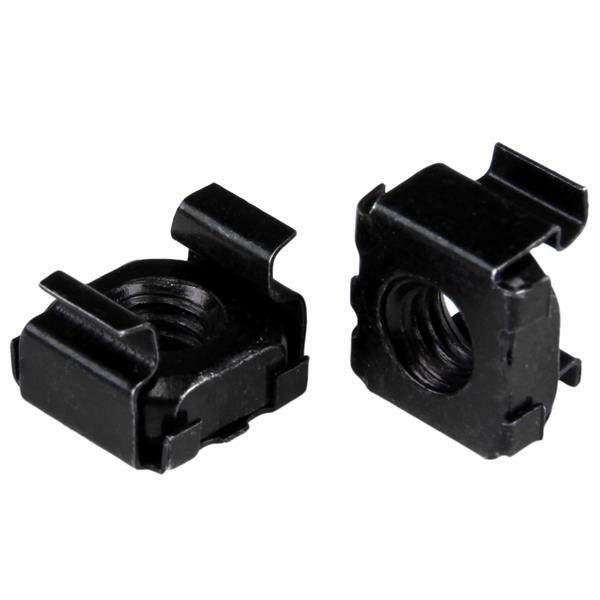 This 50-pack of M6 cage nuts is convenient to have on hand for installing rack-mountable equipment, such as your server, network or audio/video equipment. Each pack includes a cage nut installation tool to ensure a fast and simple installation of each cage nut. This TAA compliant product adheres to the requirements of the US Federal Trade Agreements Act (TAA), allowing government GSA Schedule purchases. The bulk pack is also suitable for new server rack and cabinet setups - perfect for those times when you drop or misplace a nut or two. The bulk package ensures that you have enough cage nuts available for all of your installations, when you need them. The CABCAGENUT6B is backed by a StarTech.com 2-year warranty.